In an effort to emphasize the important and outstanding work undertaken by the volunteer members of the IHSA Labour-Management Network, this edition of Network e-News focuses on a sampling of the important initiatives they have completed in the interest of worker health and safety throughout the Province of Ontario. Activities have taken place in the form of community outreach events, the development of health and safety advisories and safety talks, the creation of best practice documents and regulatory reviews, just to name a few. The efforts of our two Section 21 Provincial Committees (Construction and Electrical Utilities), the Construction Legislative Review Committee (CLRC),the 16 Regional, 22 Trade, and 7 Sector LMHSC’s also should not go unnoticed as they have a serious positive impact on health and safety in Ontario. The passion and efforts from our volunteer members of the Network, in the interest of worker health and safety throughout the Province are greatly appreciated and do not go unnoticed. We hope you enjoy this look at some of the outstanding accomplishments of the Labour-Management Network in this issue of Network e-News. Construction Legislative Review Committee recommendations regarding regulatory change to the OHSA and Regulations to the Minister of Labour. 2018 was a very busy year for the CLRC with several initiatives in progress. The CLRC relies on working groups to research and develop proposals for change. There are currently two working groups looking at different regulatory changes that include a complete review of the Demolition and Tunneling Regulations. There were also two working groups that completed their work in 2018. This information has been sent to the Provincial Labour-Management Health and Safety Committee (PLMHSC) for approval to be issued and sent to the Ministry of Labour (MOL) as recommendations for regulatory change. These include changes to the powered elevated work platforms and raised box indicators in the cabs of dump trucks. The CLRC also approved two new working groups which will be starting in early 2019. They are a review of Section 89 for the addition of a requirement to inspect formwork prior to dismantling and a review of Section 30 of the Act regarding Designated Substances. The CLRC has also been following up on three proposals for regulatory change currently with the MOL. These are changes to the tower cranes sections of the Act, providing temporary stairs to the basement on residential sites, and the addition of debris nets on buildings over a certain height. Other activities in 2018 include ongoing review of needs analysis proposals as submitted throughout the Labour Management Network and industry stakeholder as well as a review of the Reducing Regulatory Cost for Business Act and its impact on updating of health and safety regulations. On November 14 the Northwestern Region LMHSC hosted a mock trial for construction stakeholders in the region at the Victoria Inn and Conference Centre. The event attracted more than fifty-five participants who had an opportunity to get a first hand look at what may take place at a trial involving a violation of an Ontario health and safety regulation. The events of this mock trial were taken from an actual construction sector fatality incident. The event provided attendees with some insight into what would happen in the event a workplace incident takes place that results in a Ministry of Labour investigation, subsequent charges and are you prepared for what follows in the event the matter goes to trial. The mock trial took participants through the steps of the process first-hand but identified the dos and don’ts with respect to defending a Ministry of Labour charge when the matter goes to trial. The Kingston Regional LMHSC held a Working at Heights Equipment Inspection Seminar in November with Dynamic Safety. Participants from the Kingston region attended this event which was held at the IHSA Kingston Training Centre. 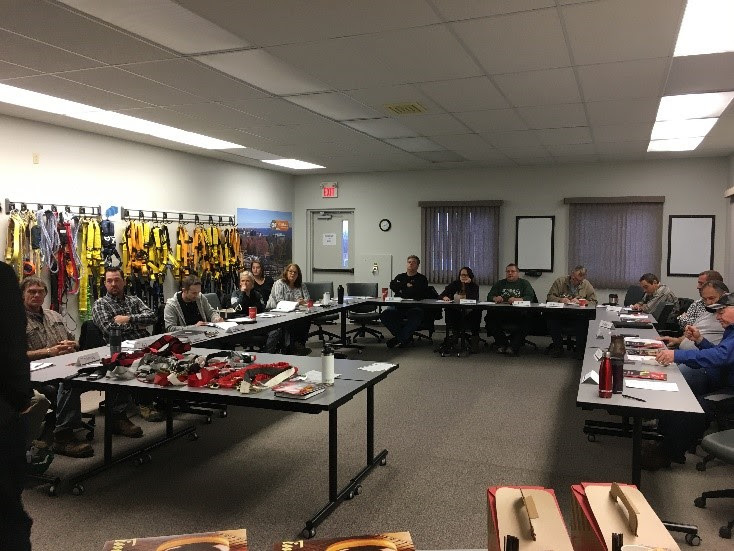 The session went through the basic ABCs of fall protection and what workers need to know about each category (anchors, body wear, connecting devices, and descent and rescue). For more info and photos, please click here. The London Region LMHSC once again took an active role as a key participant in the Fanshawe College Health and Safety Day in September. London Region LMHSC Co-Chair Rosemary Redgrift spearheaded the effort with the assistance from IHSA’s Mike McCusker and Vince Latona (MOL). 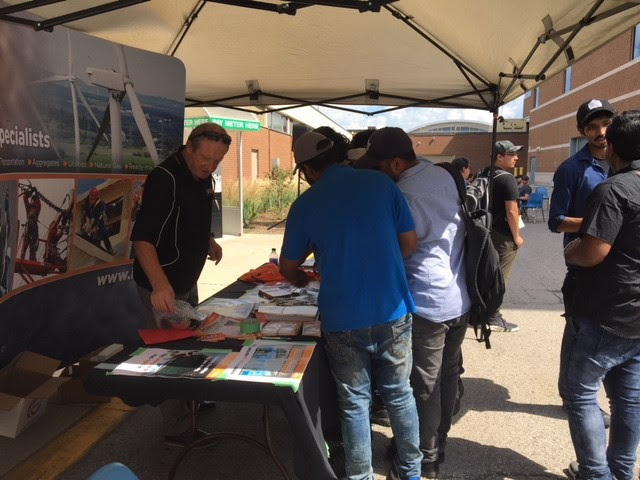 The Fanshawe College Safety Day provided an opportunity to reach out and connect with students from a variety of construction programs with health and safety information and awareness of numerous resources that are available. The Ottawa Regional LMHSC held its first Health and Safety Day for the Ottawa area this year. More than 55 people attended this inaugural event, which took place at the new Carpenter’s Hall in Kanata. The day included many activities for participants including both interactive presentations and hand-on demonstrations over the course of the day. Along with these activities, there was also a trade show that included exhibitors from a variety of organizations and suppliers. The exhibitors included Tenaquip, 3M, Ottawa Health, IHSA, MOL, and Donand McOoyee – Safety Glass. The event was a great success with the help of the committee, the presenters, and the Carpenter’s Union. Here is a look back at some of the outstanding efforts undertaken by the Regional Labour-Management committees in 2018. Click on the links for full details. The Barrie committee held several open presentations through the year which included sessions on musculoskeletal disorders, respirators, WHMIS 2015, fall trauma first aid, as well as a presentation from the Barrie Fire/Emergency Services. The Central Region LMHSC continued publication of its Health & Safety newsletter. As part of its Lunch and Learn Sessions, the committee heard a presentation from Elisa Brewer-Singh, Program Co-ordinator with the Waterloo Region Suicide Prevention Council spoke to the committee on issues relative to suicide as it pertains to the construction sector. In 2018, the Hamilton Region LMHSC organized and held the annual joint meeting with the Central and Niagara LMHSC, which focused was on mentoring young workers. The committee also completed work for its next poster. The committee’s poster series brings awareness of the dangers of being distracted on jobsites with regard to mobile devices. 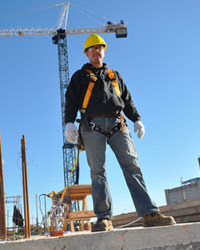 On November 27 the Kingston Regional LMHSC held a Working at Heights Equipment Inspection Seminar (see article above). For photos and more please click here. In 2018 the London Region LMHSC committee continued its efforts to provide information to the residential sector. The committee completed and issued publications on the safe use of propane and site specific training for Working at Heights and WHMIS 2015. The committee also hosted two Safety Workshops with the plan to continue more into 2019. It also held its annual Health and Safety Day at Fanshawe College where they, providing safety information to hundreds of trade apprentices. In 2018 the committee continued to provide health and safety information to the community as an outreach goal. Events included the Niagara District School Board Empowering Young Women to Explore Skilled Trades and Technologies Conference, the Niagara Catholic District School Board annual Technology Skills Competition, and the Niagara Construction Association Safety Awareness Day. The Committee also supplied safety information on mentoring young workers and the IHSA Construction Health and Safety app. In 2018, the North Bay Region LMHSC held a Health and Safety outreach event for two days at Canadore College. Trade apprentice students from the college received Health and Safety Awareness Training, took part in hands- on activities with fall protection equipment, and got to try out the IHSA Construction Health and Safety app. Both staff and students received a presentation on health and safety rights and responsibilities. As well this year, the committee also hosted a presentation on due diligence from a labour lawyer for stakeholders in the area. 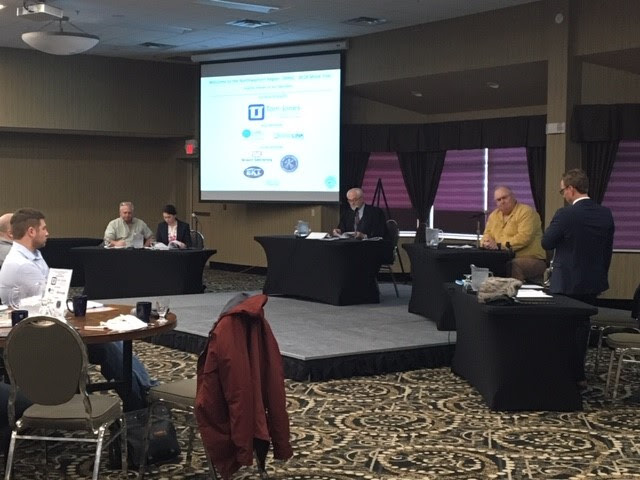 The Northwestern Region LMHSC members heard a presentation from Ina Chomyshyn of the Ministry of Labour at the April meeting, regarding the new noise regulations. Chris Wilkinson from DriverCheck discussed cannabis in the workplace at the June meeting. The major initiative for the committee in 2018 was its mock trial, which attracted nearly 60 attendees from the region’s construction sector. For more details and photos please click here. On Oct 17, the Ottawa Regional LMHSC held its first Health and Safety day for the Ottawa area. For photos and more, please click here. The Sarnia Region LMHSC participated in the City’s annual Emergency Preparedness Day, which is Ontario’s largest emergency preparedness event. The committee members provided local area students with young worker health and safety information and access to the IHSA Construction Health and Safety app. The committee also promoted IHSA’s Keep Your Promise campaign throughout the community by placing vinyl decals on various company vehicles. The Sault Ste. Marie Regional Committee members presented an occupational health and safety session to a double class in April at Korah Collegiate & Vocational school. 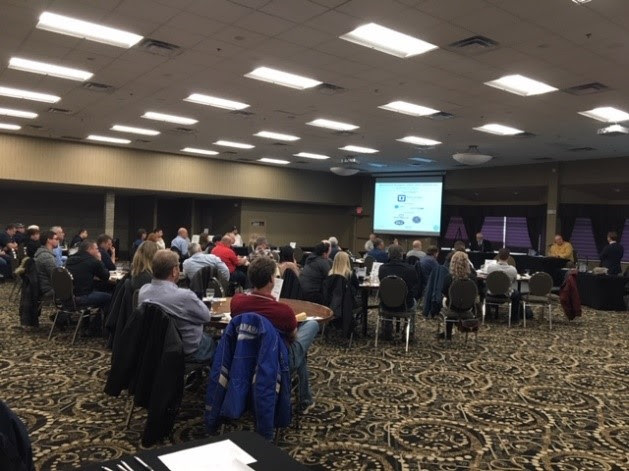 The members also hosted two open presentations on expectations and requirements around excavationswith information from the Technical Standards and Safety Authority (TSSA), and the Ontario Regional Common Ground Alliance (ORCGA), along with a session on Due Diligence for Supervisors and Employers. The Sudbury Region LMHSC held its first in a series of outreach events on Manitoulin Island. The event was well attended and the committee was able to provide information and health and safety products to participants. The committee also participated in the Workplace Safety and Prevention Services OHS Symposium. IHSA brought its mobile classroom to Sudbury and provided a presentation on rights and responsibilities. 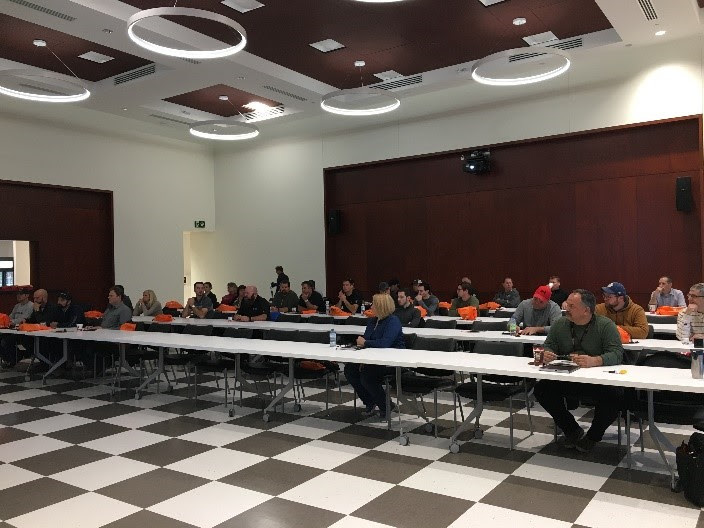 The Timmins Regional LMHSC held two open presentations this year on emergency planning with the City of Timmins, as well as a presentation from the MOL on how they interact withJoint Health and Safety Committees. The members also participated in the Timmins Home Show and Steps for Life Walk in 2018. The committee held a successful Health and Safety Conference in April at the Dante Club with the slogan, “Avoid the Worst, Put Safety First”. The Toronto Regional LMHS held its third annual Health and Safety Symposium this past fall. More than 60 health and safety professionals attended the event at IHSA’s Voyager Court location. Crisis Management – interactive session and scenario with Fleishman Hillard Highroad. For photos and more please click here. The Windsor Region LMHSC was instrumental in having its request for regulation change approved in 2018. The request asks for the inclusion of a section for inspection of formwork prior to dismantling which was predicated by a local area fatality. The committee also continued community outreach by providing IHSA’s Health and Safety Basic course to students at a local area high school and by participating at the local home show. Over the past year, the ministry conducted health and safety initiatives at mines and mining plants that focused on conveyor guarding, personal protective equipment (PPE), and high-visibility clothing. The ministry also ran an initiative that focused on working at heights in construction. Learn what the inspectors found. The Ministry of Labour wants to remind workplaces that those who took mandatory working at heights training in 2015 must take refresher training, as the training is only valid for three years. If the training has expired and a worker hasn’t taken refresher training, they cannot work at heights. IHSA has training dates available across Ontario. To learn more about IHSA’s course, visit the course description page. IHSA’s trade and sector Labour-Management Health and Safety Committees completed a wide variety of projects in 2018. The following is a look back at some of these outstanding efforts. The Acoustical and Drywall Tile LMHSC submitted a Needs Analysis and received approval by the CLRC for the establishment of a working group to review of Section 70 on narrow frame scaffolds. The members also developed and published a Safety Talk on Noise Exposure and Drywall Installation. The Carpenter’s Trade LMHSC developed and published the Safety Talk entitled, Safety at Home as well as an article on near miss reporting in the IHSA.ca Magazine. The Commercial Diving Trade Committee developed an awareness document to address concerns related to a growing underground economy in the sector and a corresponding use of unsafe diving contractors. The document is being distributed to the trade and more than 2,000 homeowners/property owners and businesses who use the services of non-licensed divers to perform commercial dive work. Click here to read more. The members are also considering their support to a recent change in CSA Standard Z275.2-15 in the regulations. The CLAC Sector LMHSC continues to publish a health and safety newsletter for members to help keep abreast of health and safety activities. The committee received a presentation from CPO Ron Kelusky at the November committee meeting. The Concrete Floor LMHSC Published the Concrete Floor Health & Safety Manual, and developed and published the Emergency Rescue Procedures – Uppermost work level of suspended slap. The committee also developed and published a test Strategy for Carbon Monoxide. In 2018 the Demolition Trade LMHSC completed their work with the Environmental Abatement Council of Ontario (EACO) to develop a standardized designated substance survey (building hazardous material survey) and continued their support in updating the entire Demolition Section of the Regulations through the CLRC. The Elevator/Escalator Trade LMHSC has completed work on an Advisory on work around RF/MW transmission towers which has now been finalized and available at IHSA (W121). The members have also completed an MSD profile for workers involved in the Elevator/Escalator trade. 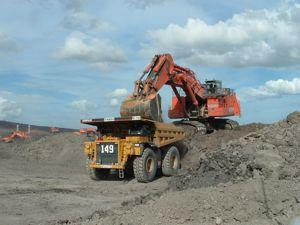 The Heavy Civil Engineering LMHSC completed a Needs Analysis looking at the Excavation Sections of the regulations. The Highrise Forming committee submitted a Needs Analysis and received approval by the CLRC for the establishment of a working group to review of Section 26 on 30″ lanyard. The Insulators Trade LMHSC have completed a safety talk on “Synthetic Amorphous Silica and they have introduced a new Newsletter which has been distributed to their trade. The Ironworker/Rodworker LMHSC prepared a Needs Analysis which was approved by the CLRC for revision to section 133 of the Construction Regulations. The Masonry Trade LMHSC has finished work on two new safety talks on use of handheld masonry saws. The members are now in the initial stages of completing a study with McMaster University on the safe handling of large concrete slabs. The Occupational Disease and Research LMHSC submitted a Needs Analysis which was approved, to address Section 30 regarding Duties of Project Owners as it pertain to the reporting of Designated Substances. A working group on this matters will be convened early in 2019. The Pipe Trades LMHSC have completed its work on a soon to be published document that that addresses exposure to asbestos and other airborne products specific to pipe trades workers. The Refrigeration/Air Conditioning Trade LMHSC participated in the CMPX 2018 trade show in 2018. The members also alerted Electrical Safety Authority about a dangerous product for sale at distributors referred to as cheater cords. ESA subsequently issued a Flash notice on cheater cords. The Residential Sector LMHSC has invited the CPO Ron Kelusky to attend its February 2019 meeting. The Surface Mining and Aggregates Working Group is in the final stages of completion of a safe methods for machine guarding document. The members were also going to hear from MAESD at an upcoming meeting to address the concerns raised by the group. The Tunneling Sector LMHSC is continuing to meet to review and recommend changes to the tunneling sections of the Construction Regulations. The members are nearing completion of their review which is expected to wrap up early in 2019. In 2017, IHSA partnered with the Canadian Centre for Occupational Health and Safety (CCOHS) to create an occupational health and safety compliance web tool and app. The Guide is designed to provide Ontario workplaces an understanding of the Construction Projects Regulation under the Occupational Health and Safety Act of Ontario. The Guide to Construction Health and Safety Legislation provides information on 50 topics. Each topic allows the user to read through a plain language summary of each topic, and then link to the legislation itself. The topics are available in English and French. Additional resources for each topic are also provided. Users should refer to the About Us page for full details. This guide provides information on topics in a summarized format – users should always refer back to the legislation or regulation for specific requirements. For more information, visit IHSA’s mobile app page. Hand-held masonry saws, commonly known as “quick-cut saws”, are widely used for cutting concrete, masonry materials, and steel. These high-powered tools can cause serious injuries, so take great care when working with them. This four-page booklet contains prevention information for carpenters and a diagnostic toolkit for physicians and primary health providers. This product is for download only. 4 pages. July 2018. For workers, it lists tasks and possible hazards and outlines ways carpenters can protect their health. For physicians, it lists occupational diseases and hazardous agents encountered by carpenters, and provides diagnostic criteria for screening, early detection, and diagnosis. 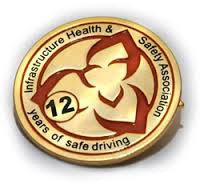 Do you recognize your workers and drivers for their health and safety achievements? 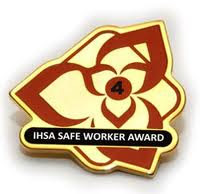 IHSA offers two award programs to mark individual efforts in safety. If an employee works for a full calendar year (January 1 to December 31) without a compensable incident, he or she is eligible for the Safe Worker Award. Generally for the first year, workers must have been full-time employees for at least 75 per cent of the year. To learn more visit the Safe Worker Award webpage. If a driver works for a full calendar year (January 1 to December 31) without a motor vehicle incident (MVI), he or she is eligible for the Safe Driver Award. The year for school bus drivers goes from July 1 to June 30 to better reflect their schedule. To learn more, visit the Safe Driver Award webpage.